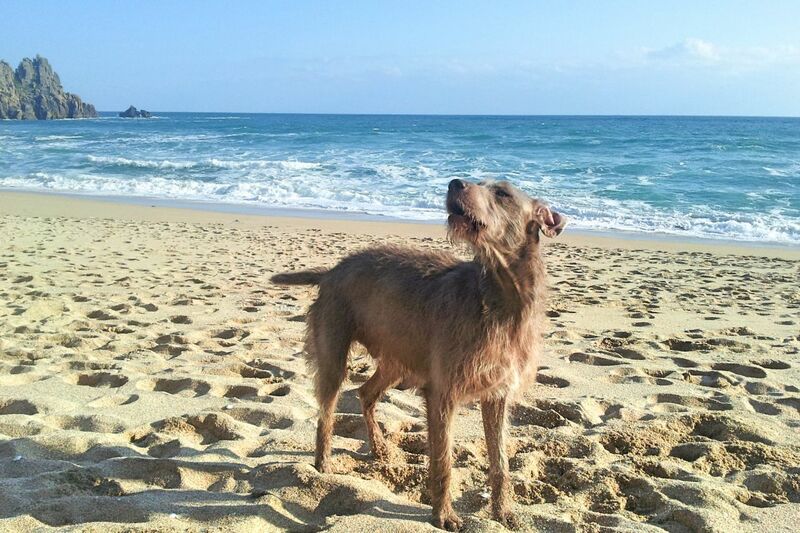 If you’re coming to Cornwall with mans best friend, then you’ll need to know the best places to take them to the beach. Dogs love the freedom of running along the water’s edge, playing in the sand and running up and down the Towans (Cornish for sand dunes). 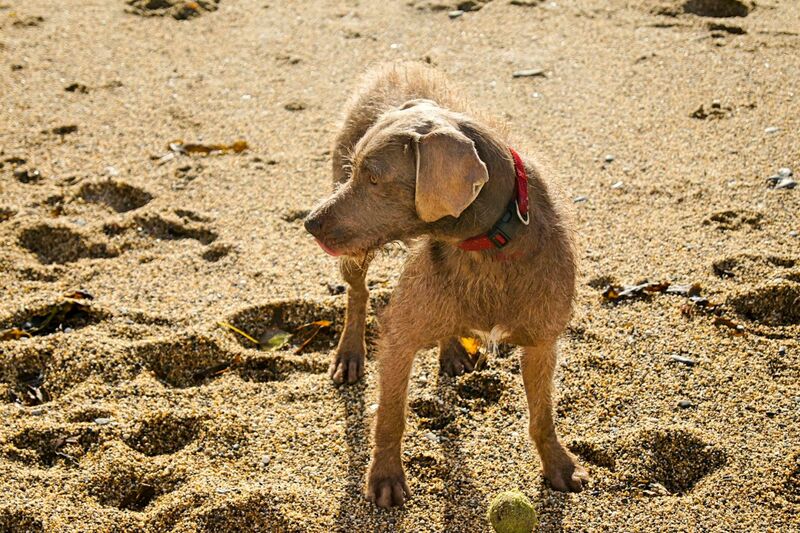 Most of our Cornish beaches are accessible with dogs in the Winter months, but a lot of them have seasonal bans that come into play around Easter and run until the Autumn. 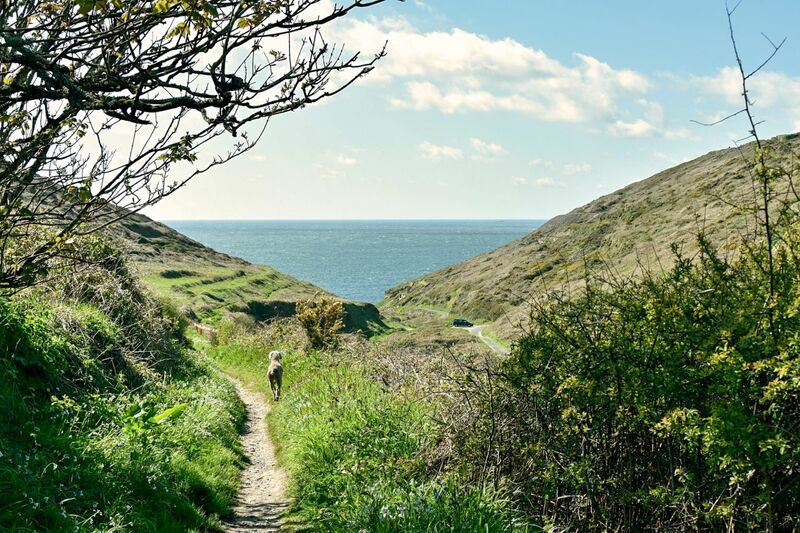 Don’t forget that Cornwall has an amazing stretch of coast path that you can walk your dogs along all the time, as well as woodlands and moors with amazing views. If you’re looking for a beach that welcomes dogs all year round then we’ve made it easy for you. 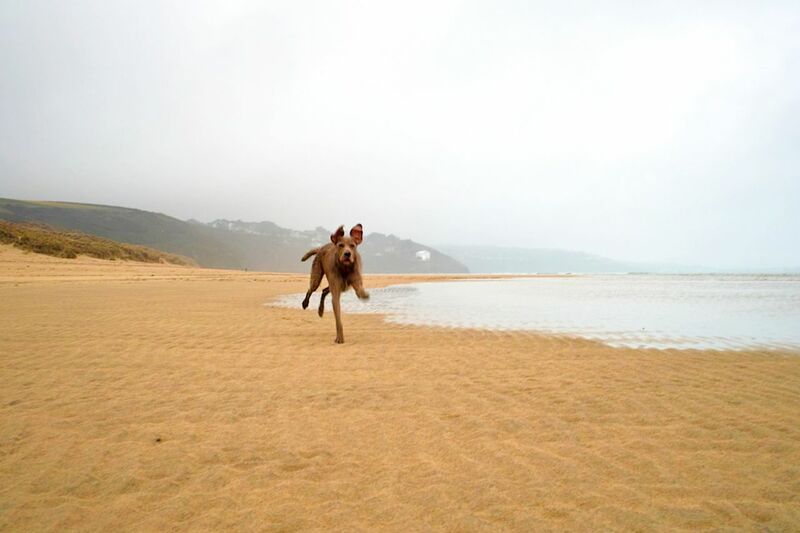 Here are the best dog friendly beaches in West Cornwall that are are open 365 days of the year. 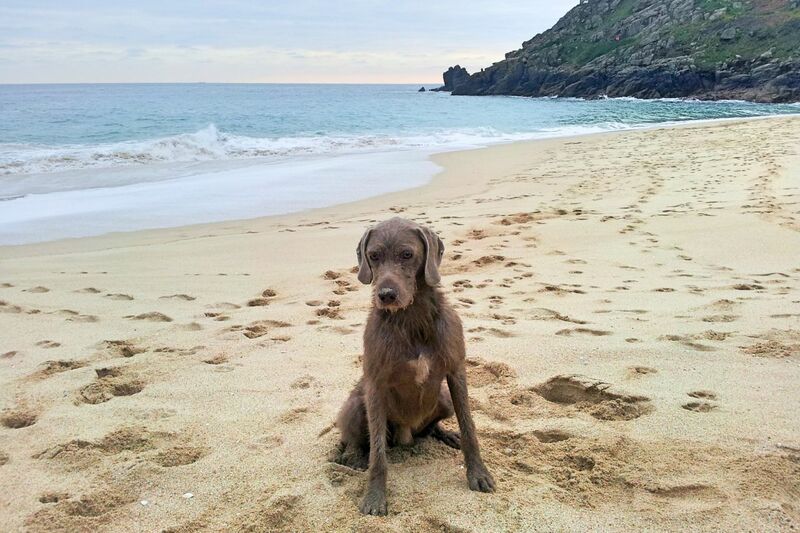 St Ives has dog bans on most of its beaches during the Summer but Bamaluz welcomes them at any time. Also known as the ‘dog beach’ to the locals, this small cove is tucked away between Smeatons Pier and Porthgwidden. With easy access down the steps, you can often find a pooch or two having their daily swim at this sandy beach. With some of the best views found along the North coast it’s a great place for dogs and humans to relax and enjoy the fresh air. The nearest public carpark will probably be at ‘The Island’ which is only a 2 minute walk away. Not far from Cape Cornwall and Priests Cove you can find the beautiful Cot Valley or Porth Nanven. This small cove allows dogs all year and has a small area for parking right by the sea. Team your walk with the coast path towards Cape Cornwall for great views, or head South for Gwenver. This rugged section of the Far West of Cornwall boasts such great pathways to walk with or without your dog. Found just around the corner from Sennen, this long sandy beach welcomes surfers throughout the year. You can either park in Sennen and walk along the coast path to this cove. Or park at the top of Gwenver perched up on the cliffs, and take the cliffside path down to the sand. At low tide, Gwenver has lots of sand for your dogs to play on and white water if they want a swim. On the Praa Sands side of Prussia Cove, you will find Kenneggy Sands which is a sandy dog-friendly beach just next to Praa Sands. Park in the village and follow the coast path to this beach at low tide for a great little spot to walk your dog. If you head from Helston towards the coast you will come across Loe Bar. There used to be a river mouth here which made Helston accessible from the sea, but the River Cober was cut off back in the 13th Century. The beach is not suitable for swimming here due to dangerous currents, but it’s a lovely sandy beach to stroll along. Team this with a walk around Penrose for an extra long walk. You can park near Helston boating lake for free in the large car park and walk along the level pathways all the way out to Loe Bar. 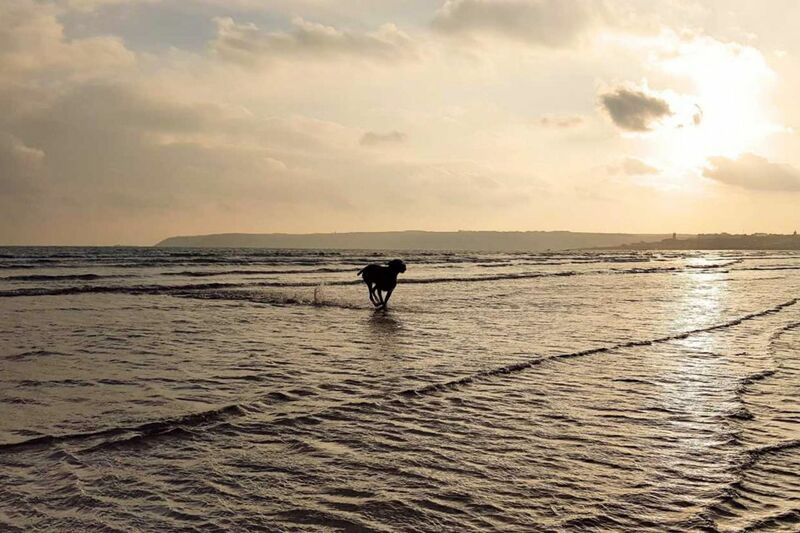 From Long Rock down to Penzance this stretch of Mounts Bay is dog-friendly all year round. You can park easily in the car park at Long Rock and stroll along the sands with your dog. The sand is easily accessible and the waters are usually calm throughout the seasons. 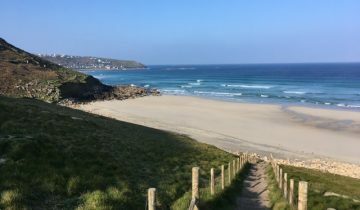 Along the 3 miles of golden sand at Hayle, dogs are seasonally restricted at either end, with Godrevy, Gwithian and Hayle having dog bans during the summer days. All year round though you can exercise your dogs from the Black Cliffs end called Mexico, all the way along the beach to Peters Point. There used to be a lifeguard hut here, but recent cliff collapses have closed the access here. The best place to park is at Sandy Acres car park, where you can walk straight down on to the sand. Or park at Gwithian and walk along the sand dunes for half a mile until you can drop down on to the beach. There are loads of pathways along the towans to explore, and even more sand at low tide, so this is a great place for those dogs who need a lot of space to roam! Nanjizal is one of Cornwall’s secret spots with not many people knowing how to get here. 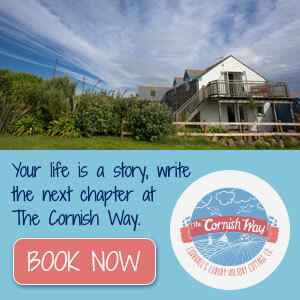 Just a short stroll along the coast path from Land’s End, you can either walk the coast path to get here, or park inland and stroll over the farms bridleways. 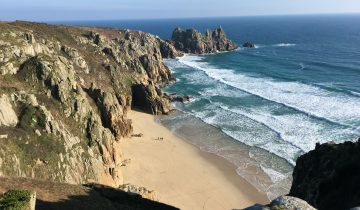 The best and easiest access would be to park at Lands End and walk south along the coast path until you reach this stunning cove. It’s usually sandy, but with big storms and strong waves sometimes you’ll only find rocks. Nanjizal is famous for its sandy and rocky make up with clear waters and an unusual gap in the cliffs. Found between Pendeen and Morvah this isn’t the most easily accessible coves, but that makes finding it all the more rewarding. Off the beaten track a little more than the popular spots means you’ll find a peaceful sandy cove waiting for you. 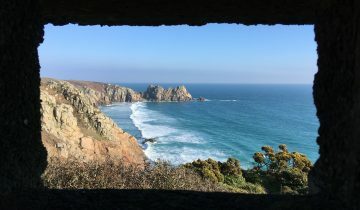 You can either park in the farm car park at the end of Rose Valley or at the Pendeen Watch car park for the best access. With access from Lelant Church, you can walk along the pathway across West Cornwall Gold Course which takes you down on to Porthkidney Sands. With a huge expanse of sand which stretches along the Hayle river mouth all the way along to Hawkes Point on the edge of Carbis Bay. This beach is very popular with local dog walkers, but there’s so much sand here at low tide, it never seems busy! This small cove is found right next to Cape Cornwall and has a National Trust Car Park right above it. This rocky cove is rich with mining and fishing history, with hundreds of years of history in this remote spot. Although not an ideal places to let your dogs run wild, the coastal path along here is stunning, with miles of great walks and dramatic scenery. If the weather is warm then the rocks create a small pool for bathing if you, or your pooch, fancy jumping in our Cornish waters. Out to sea you can see The Brisons from along this stretch of West Cornwall, and you’ll probably recognise some of the scenery from ‘Poldark’. This secluded cove is found between Perranthnoe and Praa Sands, making for a great halfway turning point for your coastal walks. Start from either side, you can hug the coast path taking in the South Coast scenery, with Prussia Cove your reward at half way. The turquoise waters of Prussia Cove make it a popular swimming spot, with great snorkelling to be had on a sunny day. 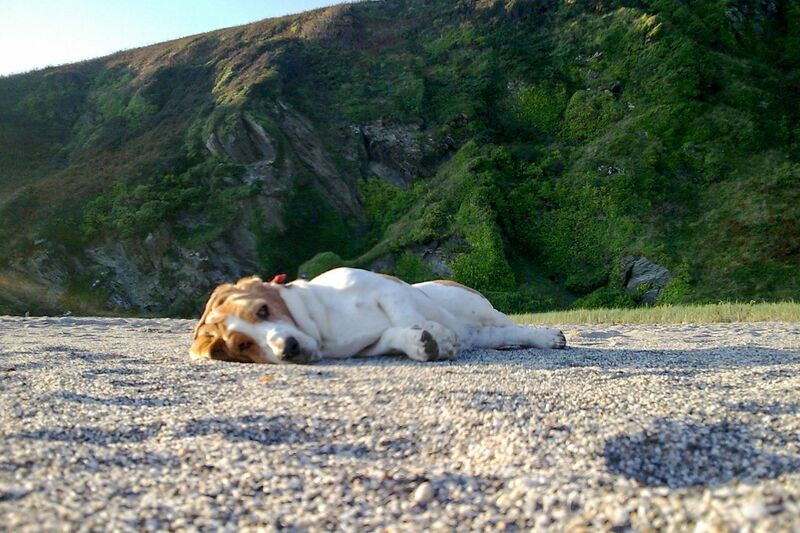 Prussia Cove is dog-friendly, so perch up for a picnic, knowing you’ve found one of Cornwall’s dog-friendly spots. If you don’t fancy the coast path walk then there is a small car park above the cove that you can use for easier access. 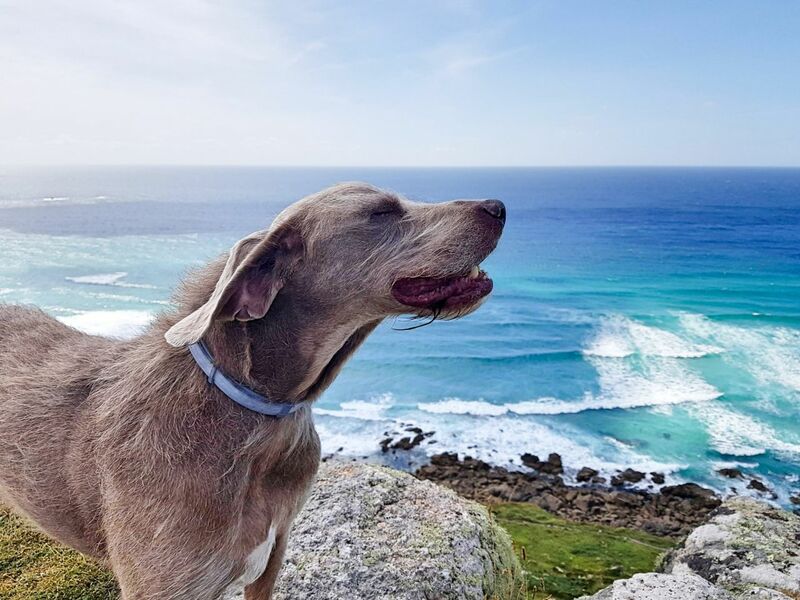 If you’ve got some photographs of your dog enjoying West Cornwall then share them with us on social media! 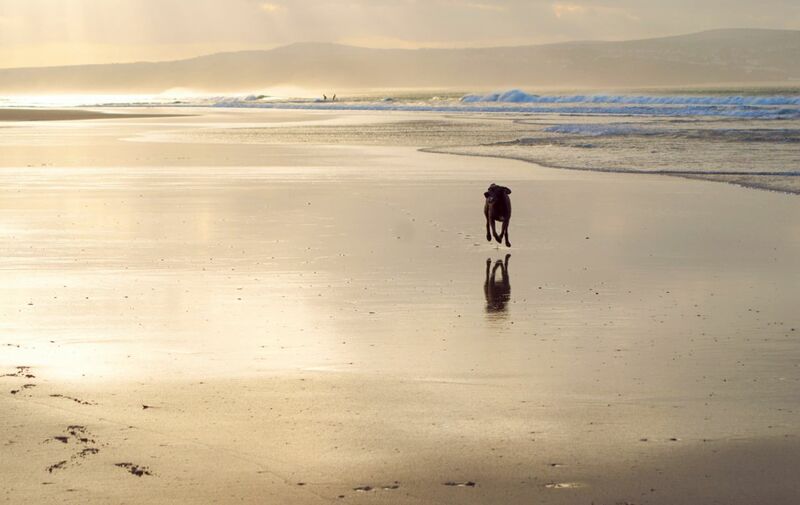 Search all our dog friendly Cornish cottages. Tregiffian and Gwenver. An unexpected paradise. Diary of a lucky man. The best beach in the world? St Just to The Gurnard’s Head – a tough but rewarding circular.